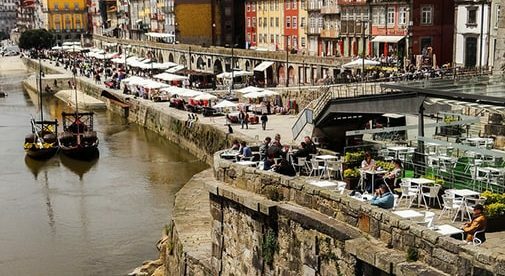 Porto’s riverfront is filled with terraces where people can sip port and enjoy the view. Barbara Wolfe and her husband Bill actually began their expat life in Cuenca, Ecuador. 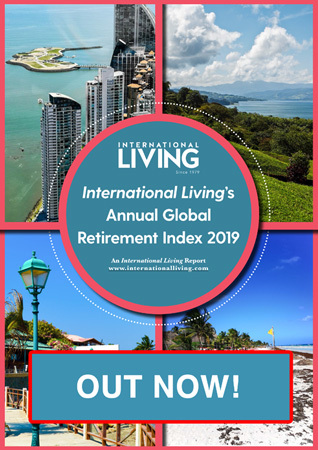 But after four happy years there, the intrepid Minnesota couple moved to Porto, Portugal’s second city, joining the ranks of expats who are “serial relocators:” those who live in turn in more than one overseas location. But one of their children had recently visited Spain and Portugal. “He said, ‘You know, you should check into Portugal. It was a wonderful country. I’ve heard that their visas are pretty easy.’ So we added that to our list. Porto—home of the fortified wine, port—sits at the mouth of the Douro River, right where it flows into the Atlantic. The city therefore has plenty of riverfront, as well as ocean beaches. As to visa requirements, “they wanted proof of income, a marriage certificate, and proof of health insurance,” says Barbara. Some documents needed to be notarized by a U.S. notary. “We just went to the Embassy in Quito,” says Barbara. U.S. consulates and embassies keep a notary on staff for just such occasions. “We paid $200,” she says—far cheaper than an airline ticket back to the U.S. for notarial services. The couple signed a year’s lease, at a rent of about $1,000 a month, for a two-bedroom, two-bathroom apartment with 1,184 square feet. This is about double what they paid in Ecuador. “But I think we’ll find that the apartment here is very, very nice,” says Bill. And overall, they’ve been pleased with the cost of living in Porto. “Rent is more [than Ecuador], but other costs aren’t,” says Bill. “To be honest, I would say the food cost here is on a par with Cuenca, and we love the variety…the food here is phenomenal,” says Bill. “The prices are very on par with Cuenca.